Ellesha has homeschooled throughout high school and will graduate with honors this year 2014 from Everest Academy. She enjoys being outdoors whether hiking, kayaking, camping, or doing school work. She loves animals and plans on a career that involves caring for them. 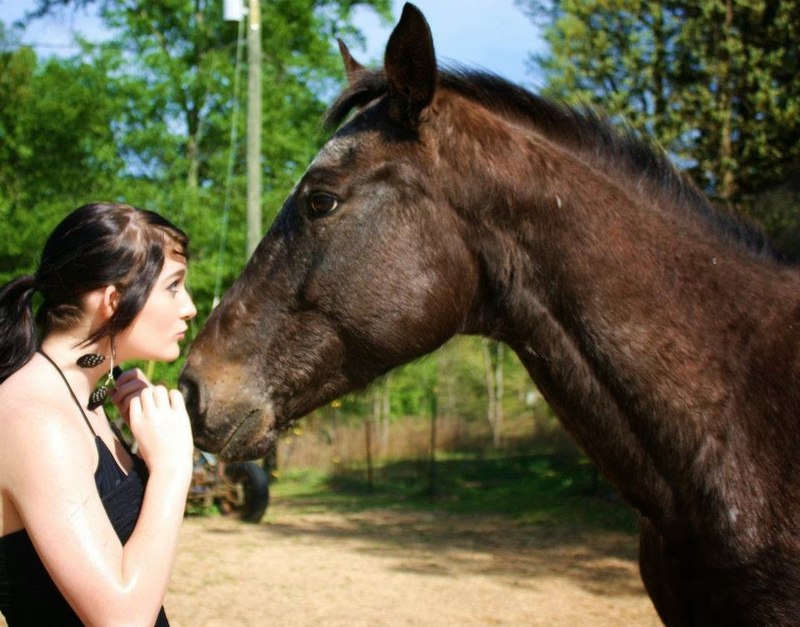 She enjoys riding the family horses and was involved with Blount County 4H Horse Club for several years, serving as Vice-President for two years. From a young age, she has helped to provide care and rehabilitation for many domestic and wild animals. Her concern for the well-being of animals led her to create the web site and Facebook page "Animal Angels Do Something" which gives advice on the proper care of pets and helps to showcase some of the adoptable pets from Blount County. Since beginning her homeschool education, she has become more independent and doesn't hesitate to answer any questions about her home education process when others request information. Ellesha has enjoyed being able to work at her own pace and to explore her interests in depth. She was able to experience many things she would not have been able to do in public school such as an overnight camping trip to the Birmingham Zoo, a private group tour at Tigers For Tomorrow, wilderness survival skills, dancing with fire, planning and creating a garden, building a barn, and much more. As a mixed-blood Cherokee, she dances Ladies Traditional, Fancy Shawl, and other tribal dances. She serves as an ambassador teaching others about the Cherokee People. She proudly hosted a Teen Scene event at her tribe, United Cherokee AniYvnWiya Nation's powwow last year where she was able to share her culture with other homeschool students. Ellesha and her BFF since second grade, Beka McCay, (who also homeschools) enjoyed going to prom together and are looking forward to graduating together. They are excited about beginning the next phase of their lives together as life-long friends who shared the experience of homeschool. When asked if she was glad that she was homeschooled during her high school years...Ellesha said, "You bet!"